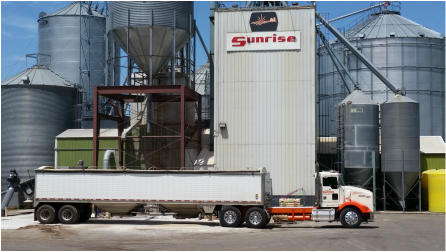 Our feed mill is located in Buckman and we have experiencedfeed nutritionists on staff. We deliver customized rations, straight commodities, and provide direct loads to farms from the processing plant. We also manufacture a quality product at a fair price and offer great customer service! Give Mike and his team a call with any questions. Thank you for your past and future patronage! Sunrise Ag Coop, Buckman, Little Rock, Lastrup, Pierz. Feed MIll, Farm Store.